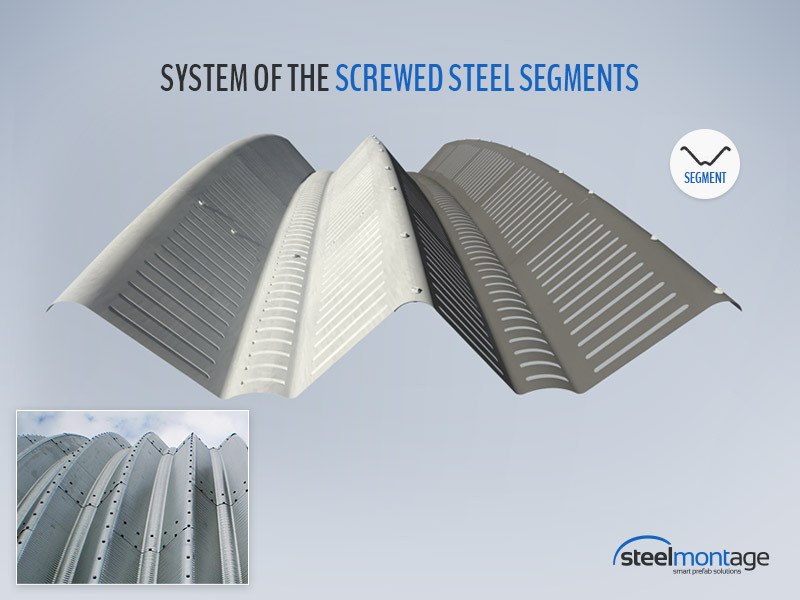 Basic components are connected by rustless joints and are formed into one compact arch construction unit. 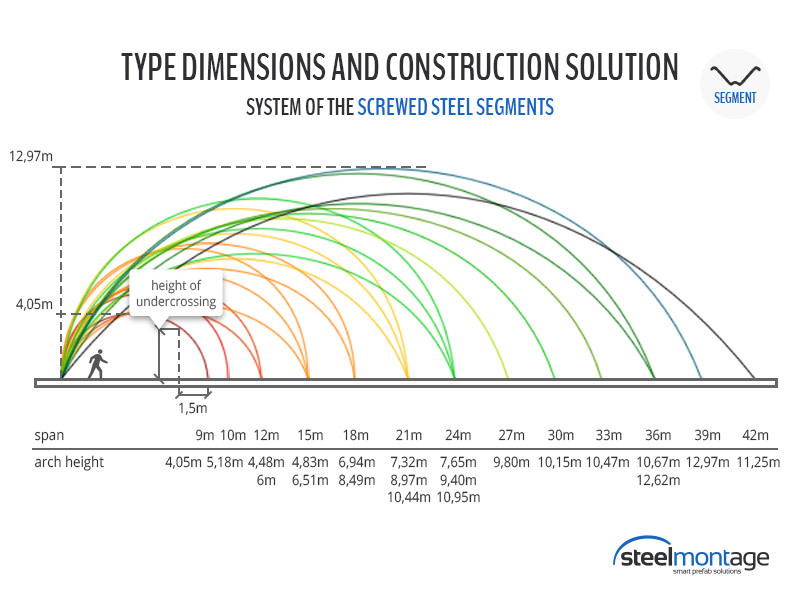 This unit is fixed by the steel anchors into the substruction. All of the anchors are screwed and good visible so it is possible to check them visiually. The whole system is fully demountable. For better orientation, basic schema of size series may be helpful. However, we are able to adapt the construction to any dimensional requirement. 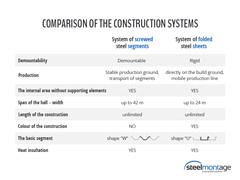 Compare the basic user characteristics of our construction systems and their efficiency for your building intentions. We are pleased to provide you any further technical information. 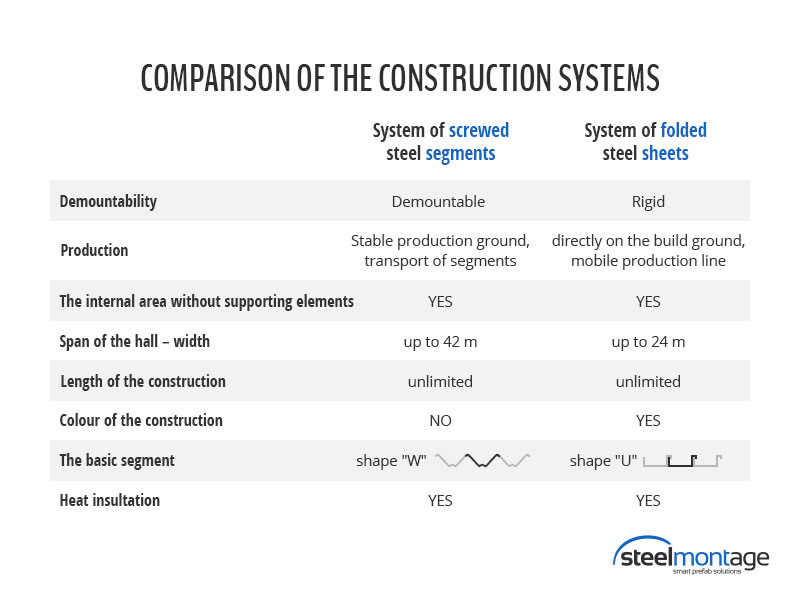 If you have any questions regarding halls Steelmontage please contact us.